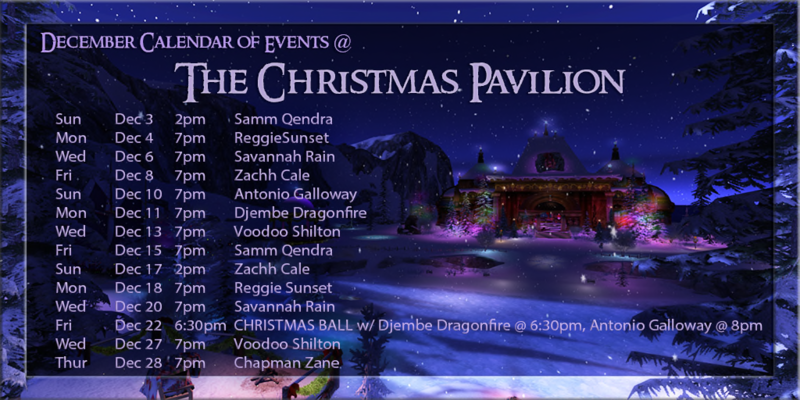 Mark your calendars – final two live music shows at The Christmas Pavilion, December 27 & 28! Meanwhile the 2017 Calas holiday sim, “Home for Christmas” is open for skating, dancing, cross country skiing, sleigh rides, photo opps, and reindeer riding – don’t miss it! Here’s your sleigh! This entry was posted in Uncategorized by Romie Vella. Bookmark the permalink.